Product prices and availability are accurate as of 2019-04-19 06:57:37 UTC and are subject to change. Any price and availability information displayed on http://www.amazon.com/ at the time of purchase will apply to the purchase of this product. 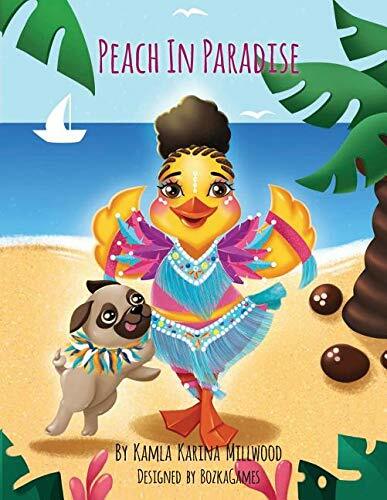 Author Bookstand is proud to offer Peach in Paradise (Peach the Duck) by Palatial Publishing, LLC. Author Bookstand offers books by the best indie authors throughout North America and the world, and is dedicated to offering original content to a broad audience and promoting great authors, literacy, and freedom of expression. Peach in Paradise (Peach the Duck) has generated a lot of interest and excitement, and we think it would be an excellent addition to your library. Author Kamla Karina Millwood wanted to pay homage to her country of birth, Saint Vincent and The Grenadines. She therefore thought it fitting that in her 6th book in the Peach The Duck series, that Peach should visit Saint Vincent and The Grenadines, which is a place that is not too expensive and laced with a plethora of tourists, reflects the beauty of sunny skies, glistening seas, white and black sand beaches, waterfalls and volcanic wonders. Peach In Paradise is an amazing book that introduces steel pans, soca music, colorful costumes, tropical foods and travel. Peach also learns a very important lesson about what happens when you don't listen and you eat too much food. This book is fun for the entire family and highlights the importance of doing things in moderation.